Today is very special day for my country- Latvia. 11. November was landmark date for Latvian freedom fighters. In this day the defenders of Riga defeated the pro-German Voluntary Western Russia army or simply the army of Bermont. This day in Latvia, we call- The Beers Slayer Day. So today with my family we celebrate this day and in the evening I'll participate to torchlight procession. The skirts are super short so I wore them with khaki leggings and my favourite high heeled boots. Gorgeous looks. So Wintery and cosy looking! hello Anete!! that beautiful girl!!! Gorgeous outfit :) I'm already following you, follow me now? You look stunning! 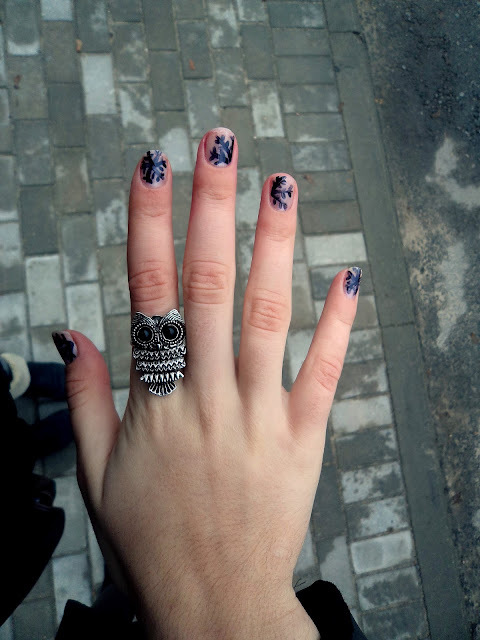 I love that owl ring! You look a lot like Scarlett Johansson ! as always so beautiful , love your outfit !! You look fantastic, I love those nails too! I never knew this day had any meaning! have fun! Love this outfit and your poses! Love that burnt orange color on you!